Why Naveen is insulting the saintly Nabakrushna Chowdhury? 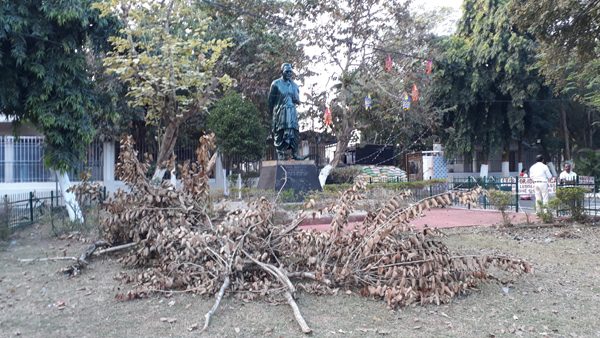 The statue of the saintly Nabakrushna Chowdhury, sacred for the entire population of Oriya origin, erected on the outer side of the Assembly gate, is deliberately subjected to heaps of debris and felled tree branches, when the whole capital city is in high-rich make-up to match the Bhubaneswar edition of the Hockey World Cup. As if this is not enough, the surrounding iron fences are fitted with blinking lights and decorative chandeliers are set on nearby trees to make the passersby see in the night also how the first architect of Orissa after independence is being insulted for not having danced to the tune of Biju Patnaik, father of the present CM. In 1952, Biju Patnaik, who had entered politics to amass personal wealth, had wanted to become a minister in Chowdhury’s cabinet with the portfolios of mining and industry. Chowdhury had refused, because, by that time, he had acquired around 4000 acres of precious mining lease and had become an instant industrialist. To Chowdhury, taking a mines and industry owner into his cabinet as minister of mines and industry was ethically incorrect. Biju avenged this by using all his mafia prowess to force Chowdhury resign. When the evolving and inexperienced democracy succumbed to his machinations and chair of chief minister went to his occupation, he tried to kill the spirit of the Official Language Act, which Chowdhury had created in 1954. He arbitrarily revived English as Official Language in addition to Oriya by an amendment in 1963, creating a smokescreen of legislative business. People thrashed him out for his offence and hence, his evil design to eventually eject out Oriya from official language status could not be executed in its entirety. Naveen wants to fulfill his father’s unfinished work. Therefore, he has brought in Section 4-A by way of amendment of the Official Language Act, which, when implemented, will put the Act under mercy of the employees and deny the people of Orissa the right to have official services in their mother tongue. 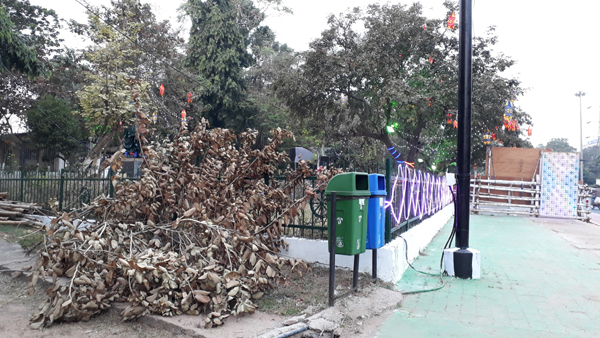 Not only he has damaged the Official Language Act created by Nabababu, but also, as the daily black-flag-campaign of Bhasha Andolan commences from the podium of the revered statue in front of the Assembly, his government has reduced the area of the podium to such ridiculous condition. People of Orissa are yet to wake up. The Article speaks it all LOUD-n-CLEAR. the last line of the Article indicates an UNLIKELY event to occur i.e.